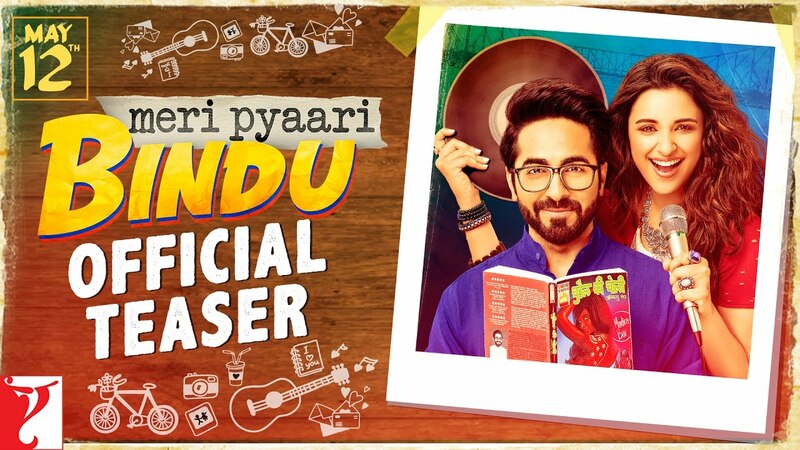 The Much-Awaited Teaser of "Meri Pyari Bindu" is Out! After releasing the first poster of the movie, "Meri Pyari Bindu", the much-awaited trailer is out. With lead actors, Ayushmann Khurrana and Parineeti Chopra, the film is slated to hit theaters on 12th May. The first teaser is giving us hints that Ayushmann Khurrana aka Abhimanyu is writing a book on her beloved, Bindu played by Parineeti Chopra. He will be seen as a fiction writer and Parineeti as an aspiring singer. The teaser is interesting as the first time hero is claiming that he made his life dump with the, "pagal", "atrangi", "aafat" Bindu. The film will feature a tragedy and many twists after which Abhimanyu will be left alone to take care of his abundant love for Bindu. Well, the movie is going to be very interesting and entertaining with such beautiful songs. Let's wait for it!